. : Ottawa Tenor - Voice Teacher :.
" David MacAdam...is both singer and performance artist." Shot! [Dr. Rixey], by Persis Vehar (World Premiere), Nickel City Opera - Director: David Grabarkewitz, Conductor: Michael Ching; Maria Teresa Magisano, Valerian Ruminski, Nark Freiman, et al; June 10 & 12, 2016, Buffalo, NY. Sacred Music For A Sunday Afternoon, solos and ensembles from favorite sacred works; with Joanne Moorcroft, piano, and guests to be announced; May 2016 (date & time TBA), Dominion Chalmers United Church, Ottawa, ON. French mélodies of the Romantic Era, selections by Chausson, Duparc, Berlioz, and others; with Joanne Moorcroft, piano; March 2016 (date & time TBA), Ottawa, ON. A New Year's Eve Gala, sponsored by the Embassy of Austria, presented by Ars Nova; December 31, 2015, Church of St. Bartholomew, Ottawa, ON. An English Recital, Vaughan Williams' Songs Of Travel and selections by G. F. Handel, Samuel Barber and others, with Joanne Moorcroft, piano; October 14, 2015, Doors Open For Music At Southminster concert series, Southminster United Church, Ottawa, ON. Le nozze di Figaro [Don Curzio], Nickel City Opera - Director/Bartolo: Mark Freiman, Conductor: Michael Ching; Maria Teresa Magisano, Valerian Ruminski, James Wright, Ray Chenier, et al; June 26 & 28, 2015, Buffalo, NY. "Canticle II: Abraham and Isaac (Britten)- plus Songs & Arias by Purcell, Handel, Haydn, Rachmaninoff & Barber", with Julia Brown, mezzo-soprano & Joanne Moorcroft, piano. June 2nd, 2015 - Oban Concerts, MacKay United Church. Recent activities include critically acclaimed performances of Schubert's Die schöne Müllerin with pianist Byron Sean for Friends Of Vienna in Buffalo, NY and Ars Nova in Ottawa, ON, and portrayals of King Kaspar in "Amahl and the Night Visitors" in Buffalo, NY during the holiday seasons of 2012, 2013, and 2014, as well as Bermuda in 2011. In 2011 David established a series of Emerging Artist concerts for Ottawa Pocket Opera (OPO) in 2012 featuring sopranos Nadia Petrella and Keena Eloise. Other notable recent activities include staging & appearing in two productions for the 2011 season of OPO, amd directing the critically acclaimed 2010 Nickel City Opera production of Verdi's Rigoletto as a follow-up to directing the 2009 season's equally acclaimed NCO début production of Rossini's The Barber of Seville, both featuring highly regarded international casts. 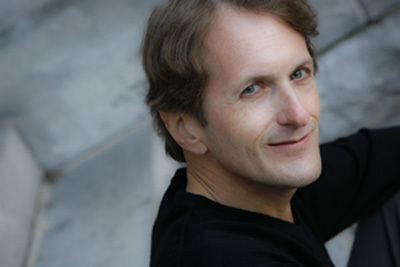 In 2009 he appeared in and directed Ottawa Pocket Opera's well-received production of Mozart's The Magic Flute and directed Pergolesi's La serva padrona for Pellegrini Opera in Ottawa. My Teaching Studio accepts new private students on a rolling basis, space permitting. Please visit my Teaching Studio page and contact me for further information, including studio fees & policies.